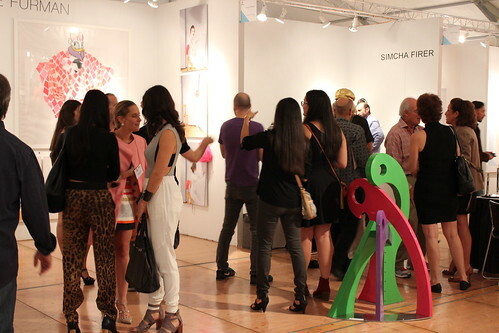 SPECTRUM Miami literally spun into action during last Wednesday night’s preview party. Dancers from the Miami City Ballet performed leaps, jumps and gravity-defying stunts as special guest Jordan Matter—NY Times bestselling author of Dancers Among Us—snapped photos. 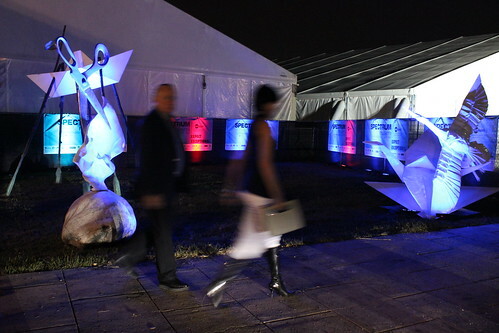 Outside, larger-than-life sculptures by Kevin Box beckoned guests to enter the tent and join us, where the drinks, dancing and conversation were flowing. 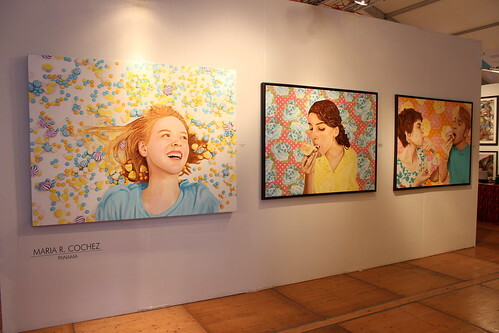 As always, there was a wide array of compelling contemporary art at this year’s show. From sculpture to photography, mixed media, abstract art and more, there was something intriguing to explore around every corner. 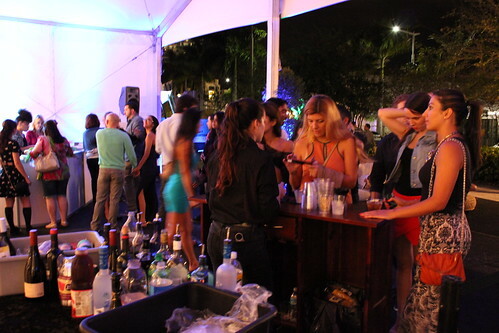 Here are just a few photos from our SPECTRUM Miami 2013 Flickr Set. Works by Panama artist Maria R. Cochez, The Americas Collection Gallery. Sculpture by Dana Major, 33 Contemporary Art. 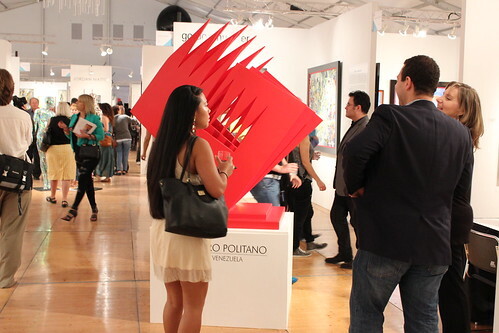 Sculpture by Wladimiro Politano, who exhibited with ArtSpot—a “show within a show” at SPECTRUM Miami. 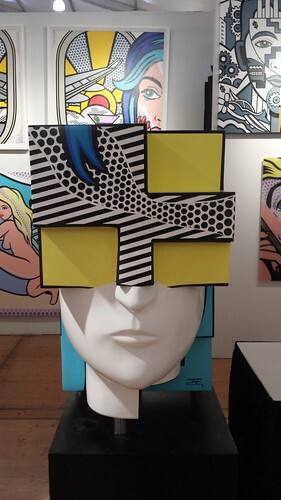 Sales were hopping this year, and collectors walked away with some exceptional new pieces. 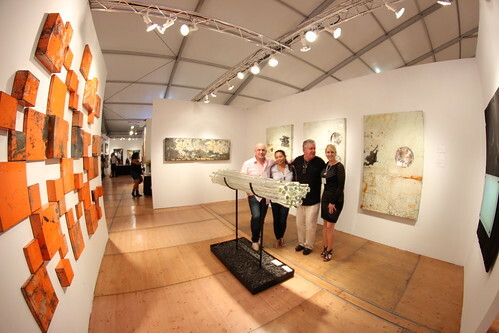 The Selby Fleetwood Gallery brought some stunning works this year and displayed them both inside and outdoors. 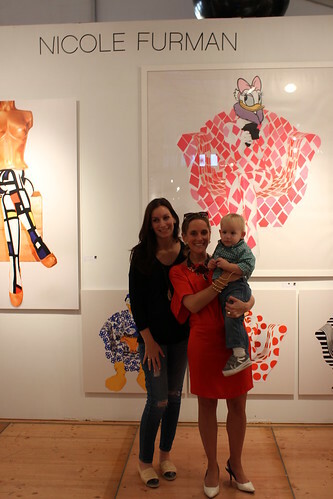 They sold five pieces, including Susan Stamm Evans’ “Threads” for $40,000 and a Kevin Box piece for $20,000. You can learn more about Kevin Box in our recent blog post about his work. Sculpture by Selby Fleetwood Gallery artists Kevin Box and Susan Stamm Evans. Gordon Huether had a stellar show as well. His “Stix & Stones” went for $28,000, his “Sweet Orange Lens” at $9,500,” items from his “Silver Lens” series at $8,500 each, and—get this—in the last three minutes of the show collectors claimed $18,500 worth of exceptional works. 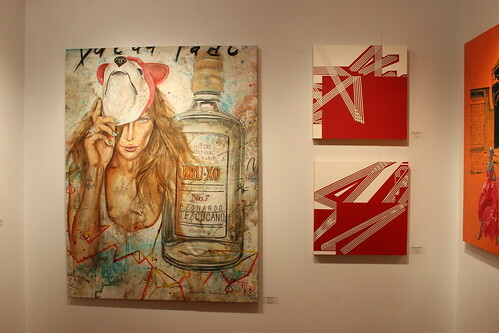 Gordon Huether’s booth at SPECTRUM Miami. 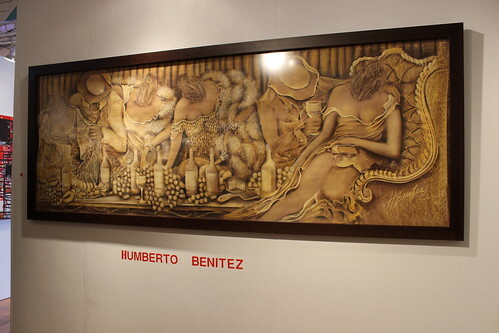 Cuban artist Humberto Benitez sold a whopping total of seven works; his highest-selling piece was “Los Invitados,” which went for $23,000. A beautiful piece by Humberto Benitez. 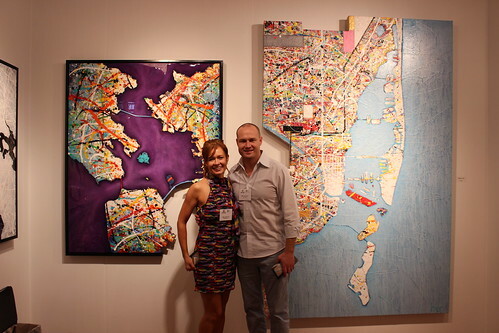 Ben Joyce, whom we covered earlier on our blog (see Ben Joyce article) moved three pieces and lined up ten commissions for his signature “Abstract Topophilia” works (inspired by Google Earth images). 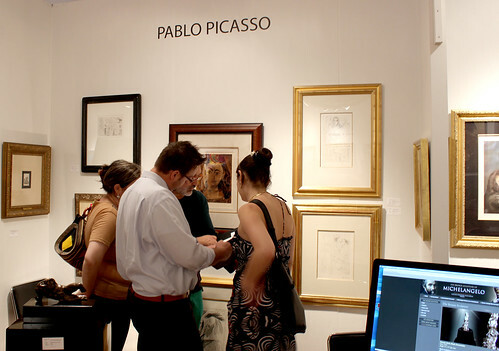 His highest-seller was “San Francisco,” which sold for $11,000. Ben Joyce and his Google-Earth-inspired abstract landscapes. 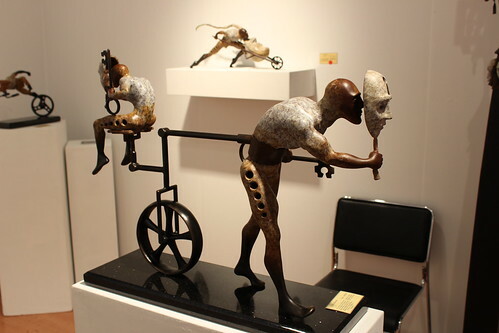 Sculptor Thomas Wargin sold out 3/4 of his booth! His top-selling piece was “A Ride with the Angel of Death,” which sold for for $7,000. There were lots of other great works on the move as well. Nicole Furman sold three pieces (“Kissin’ Minnie” was the highest at $5,000), Art Company Misoolsidae sold five (highest seller was $5,700), Current Art Group sold a $9,000 piece by artist Magaly Barrola Otola… and that’s just the tip of the iceberg. 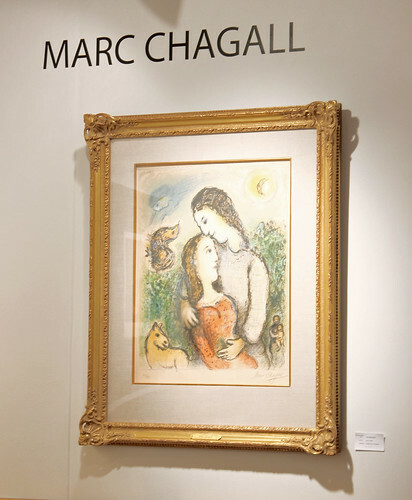 In addition to the vast array of contemporary works at the show, SPECTRUM saw some classics from Chagall, Picasso, and other masters shown by Old Towne Gallery. Aside from the art, dancing, mingling and networking, there were other surprises, like Deborah Paswaters’ live model painting. See the dancer-turned-abstract-artwork below? Life imitating art imitating life imitating art? Artist Deborah Paswaters paints a live model. We were delighted to host thousands of guests from across the country and around the world at this year’s show. Everyone seemed to be having a great time! Of course, this post would not be complete without a word of gratitude to our wonderful show sponsors, whose generous support brought a wealth of diversity to SPECTRUM Miami for exhibitors and attendees alike. So please join us in thanking GE Capital, Tanduay Asian Rum, Belaya Rus Premium Vodka, Repeat Wines, ArtSpot, Around Town, Life Is Art, ArtBlend, REFINEDr, ArtSlant, KIND, VitaCoco, ParkJockey, PIBL, La Rosa Del Monte, Art Business News. We’re thrilled to announce that because 50% of ticket sales went to Life Is Art, our guests raised $5,000 for the local nonprofit. So congrats! 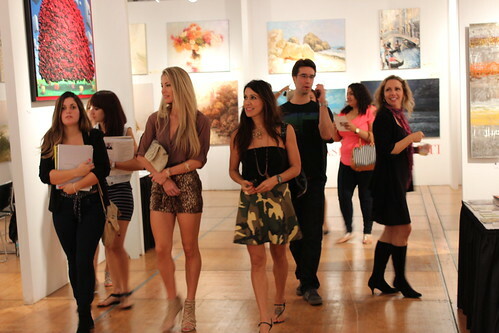 Through attending SPECTRUM Miami, you helped to support the arts in South Florida. And will we be back next year? You’d better believe it. 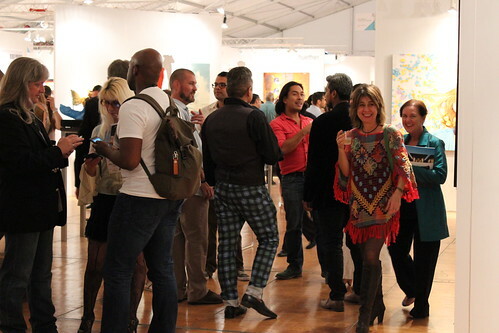 Mark your calendars: SPECTRUM Miami returns to Art Week Miami next year from December 4-7 (Preview Party slated for Dec. 3). We’ve secured an amazing new location as well: Midtown Miami, adjacent to Art Miami and Context. See you then.